As you may already know, we will be attending a large number of fairs again this year. A couple of these have already been and gone, but the trade fair season really gets underway after the summer holidays. 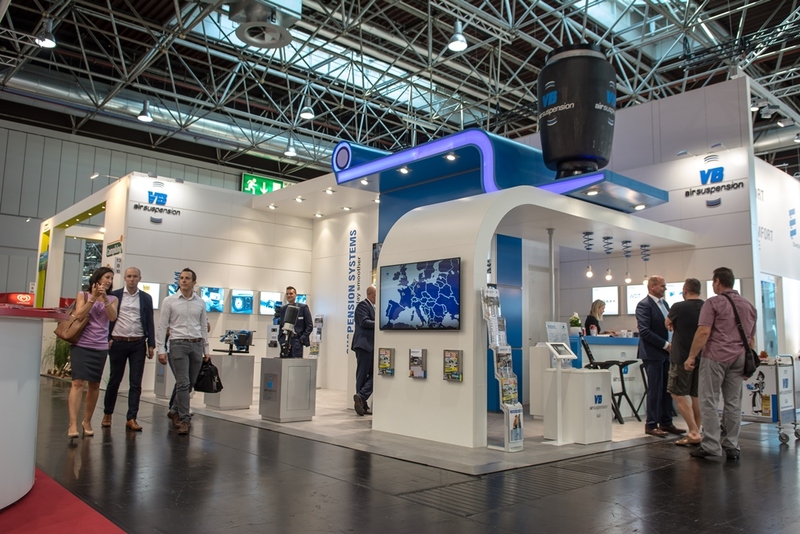 The season starts with the biggest recreational trade and consumer fair with a strong focus on motorhomes and accessories, the Caravan Salon from 24 August to 2 September in Düsseldorf (DE). This is followed by the IAA Nutzfahrzeuge trade fair from 20 to 27 September in Hanover (DE). The IAA Nutzfahrzeuge is the place for the latest technical trends and developments in commercial vehicles, conversions and accessories. A reinforced replacement spring for motorhomes that are always heavily laden, developed specifically for motorhomes with an AL-KO chassis. The VB-CoilSpring for the AL-KO AMC chassis is particularly suitable for use where the spring force does not have to be varied but the existing torsion bar-spring still needs support. This returns the vehicle to the original ride height. Visit us at the IAA Nutzfahrzeuge trade fair in Hanover in Hall 26 on Stand D43. Alongside our current products, we will be presenting our new air suspension kits for the new Mercedes-Benz Sprinter and the Volkswagen Crafter twin wheel. You will also find our products on some of our partners' stands. Like to visit us at another fair?